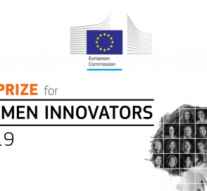 The European Commission launched the sixth edition of the EU Prize for Women Innovators to encourage women innovators to exploit the commercial and business opportunities and become entrepreneurs. Created in 2011, the prize is funded under Horizon 2020 and will be awarded to up to four women innovators, who have created the largest impact on the innovation ecosystem by transforming ideas into new and advanced products and/or services for the benefit and wealth of the European citizens. The contest is open to women across the EU and countries associated to Horizon 2020, who have founded or co-founded their existing and active company before 1 January 2017. Three prizes of €100 000 each will be awarded in the main category, “Women Innovators”. A special prize of €50 000 will be given to a “Rising Innovator”, an exceptional entrepreneur at the beginning of her career (35 years old or younger). Eligible applications will be evaluated by an independent jury of experts. Deadline for applications is 16 January 2019. SWAFS Call for Proposals Will Be Published Soon!